The point has been thoroughly belabored that Rockwell's recurring theme was a vision of America. I want to draw attention to the specific that this vision of America isn't much of amber waves of grain or of redwoods; it is of people; his recurring theme was Americans — a sort of people — as he saw them. 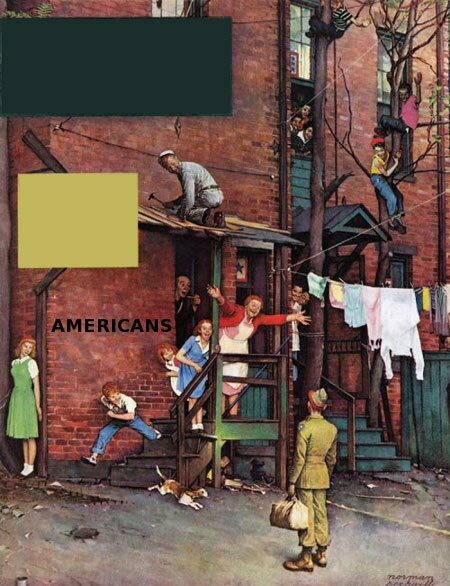 In image after image, Rockwell painted Americans. It would be a mistake to say that these were Americans as Rockwell wished them to be. Rather, these are people as Rockwell conceptualized Americans. He does not generally make them pretty; they are apt to have craggy or slightly comical faces, to be noticeably scrawny or chubby rather than athletic in appearance. But there is an underlying idealization here. It is not one of place; to be an American is neither to be within nor to be from a region; the concept of American here is more akin to one of culture, but there's a better term for what it really is. With his having made all of these images of Americans, to be painted by Rockwell was to be depicted as an American. 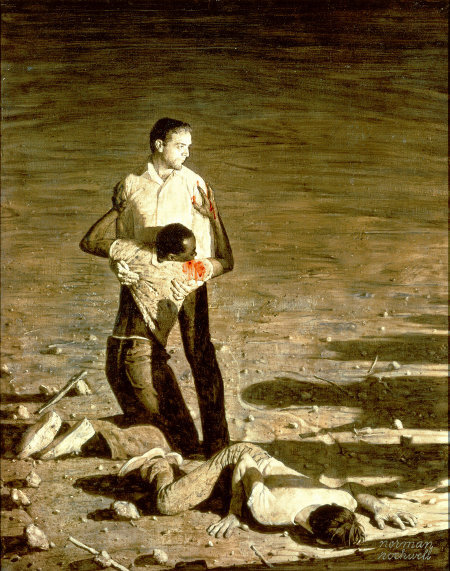 When Rockwell painted Chaney, Goodman, and Schwerner, he painted three Americans. 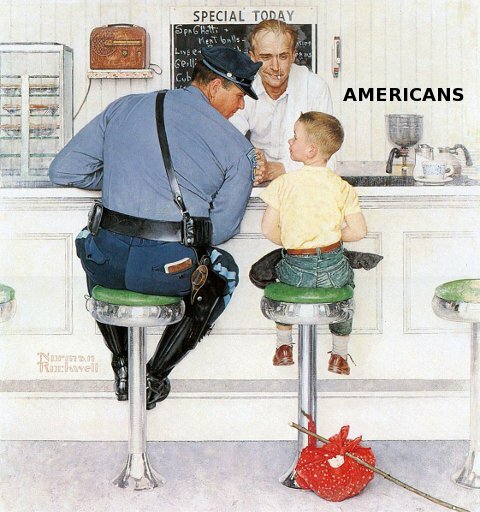 Indeed, for Rockwell, these three must have been very American, because here to be an American is to embrace an ethos. Americanism is an ethos. The viewer sees only the shadows of the killers. 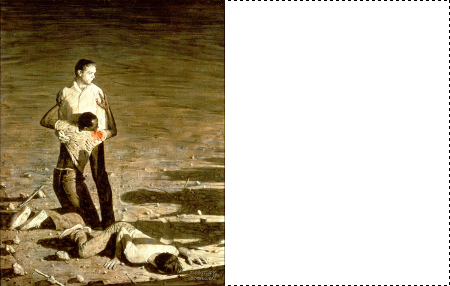 It could be argued that Rockwell didn't know how the killers looked, but he could have dressed them in white sheets. 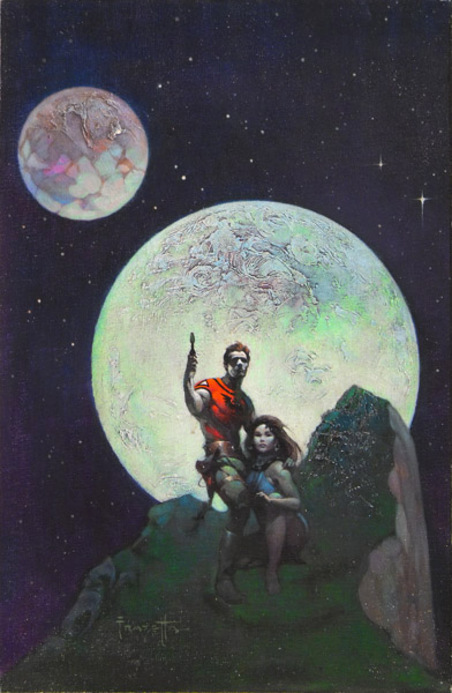 It could be noted that they seem more menacing in this way, and perhaps Rockwell wanted that effect. 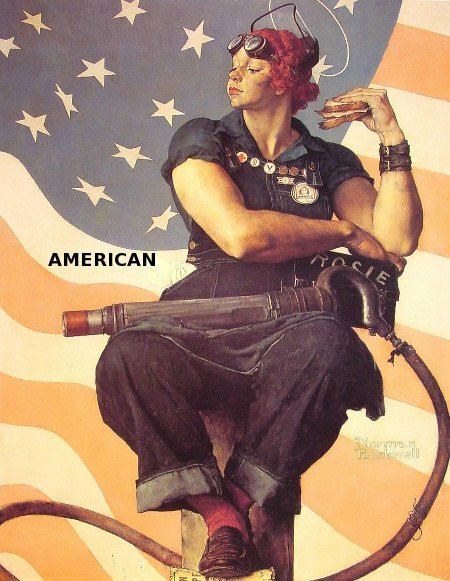 But the main reason that they are out-of-frame is because Rockwell painted Americans.